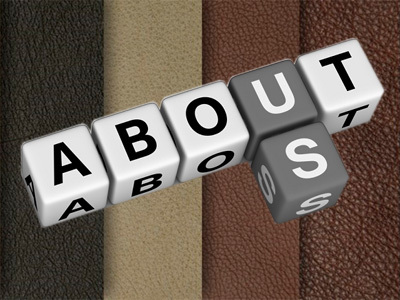 Bangladesh Tanners Association (BTA) is a nonprofit Association of Leather industry in Bangladesh. Bangladesh Tanners Association came into being in the year 1963. BTA was registered on 16th November 1964 under the companies Act 1913. Tanners Association was formed by the initiatives of the following persons in 1964 in the name of Pakistan Tanners Association, which is renamed as Bangladesh Tanners Association, after its independence in 1971. We deeply remember them. Wahidul Hader Chowdhury Proprietor, M/S Milon Tannery. Khalilur Rahman Sarder. Proprietor, M/S Pubali Tannery. Saidur Rahman. Proprietor, M/S Jamila Tannery. M. Nasir. Proprietor, M/S H.B Tannery. Monsur Ahmed. Proprietor, M/S Gulshan Tannery. Md Mostafa. Proprietor, M/S Shadhin Tannery. Saidur Haque (Master). Proprietor, M/S Royal Tannery. Habibur Tahman. Proprietor, M/S Taj Tannery. A. Matin. Proprietor, M/S Ayub Brothers Tannery. Ishaque Miah. Proprietor, I.S Tannery. Saif Ullah. Proprietor, M/S Dhakanagore Tannery. Elias Miah Proprietor, M/S Yousuf Brothers Tannery. Saed Ali. Proprietor, M/S Diamond Tannery. Issuing export certificates by proper inspection. Organize Workshop, Training, Seminar, Awareness Program Jointly with Ministry of Commerce. Participate in National & International leather fairs. Sharing of Ideas with all Tanneries & Exporters. Distribute statistics, data & other necessary information for the uplift of the tanning industry through letters, circulars, periodicals & press publicity. Relocate the Tannery Industry from Hazaribagh to Saver for the environment friendly atmosphere as per Govt. decision. Provide facilitation services to all stakeholders in planning, implementation and evaluation of development project. Settle all matters of disputes either among the Council members, general & associate members and others by arbitration or otherwise in accordance with the constitution of the Association. Copyright © 2016 Bangladesh Tanners Association - Web Design by Access InfoTech Ltd.